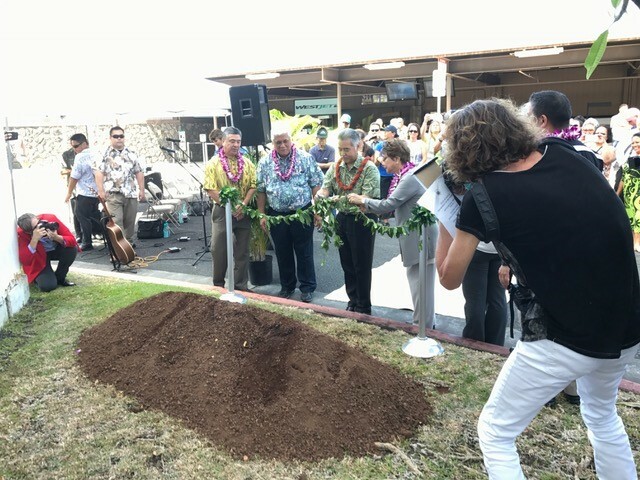 Kahu Brian Boshard gives a blessing during the groundbreaking for the Terminal Modernization Project at Ellison Onizuka Kona International Airport at Keahole. 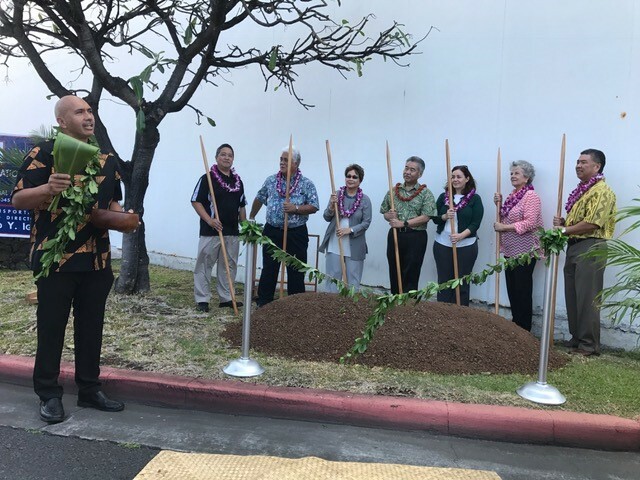 From left to right: Kahu Brian Boshard, Frank Okimoto, Nan Inc., Chauncey Wong Yuen, Manager Kona Airport; Senator Lorraine Inouye; Governor David Ige; Representative Nicole Lowen; Representative Cindy Evans; Ross Higashi, HDOT Deputy Director Airports Division. Governor David Ige unties the maile lei at the ceremony. 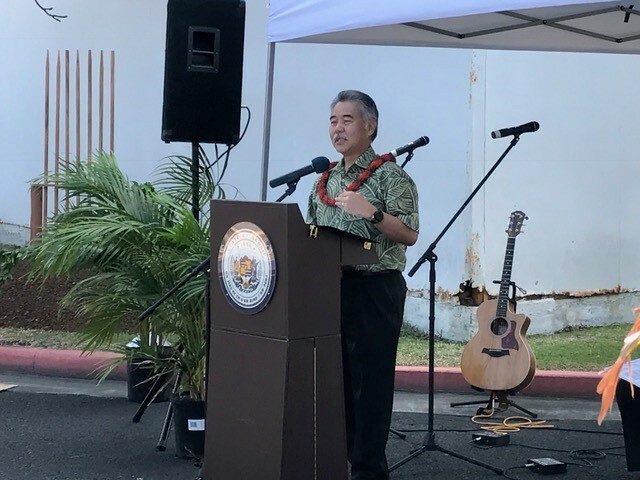 From left to right: Ross Higashi, HDOT Deputy Director Airports Division; Chauncey Wong Yuen, Manager Kona Airport; Governor David Ige; Senator Lorraine Inouye; Frank Okimoto, Nan Inc.